I am currently preparing for my visit to my beloved island of Crete and I would like to make something simple and beautiful for two very dear to me kids; a brother and a sister sharing the same room. I couldn’t think of something more beautiful, personal and sweet than a name garland. It’s easy to make and it’s filled with fantasy and color! You start by sketching the name onto the felt. It’s ok if the letters turn out a bit different in size, it makes them cuter and more “handmade”. 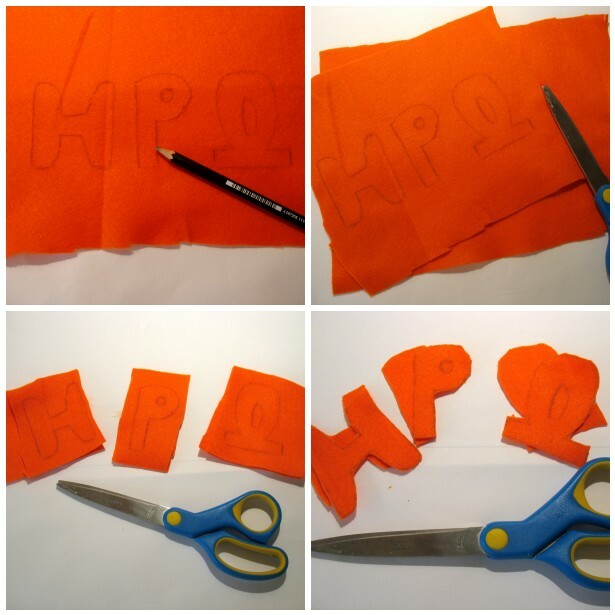 Take two pieces of felt and cut the letters. 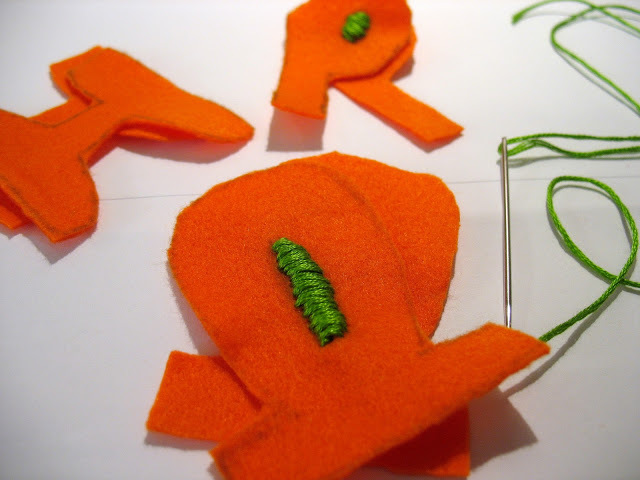 If the letter has a hole (for example R, P etc) it’s easier to fill it with embroider rather than cut it and sew it. By that way, the letter fills with more color! 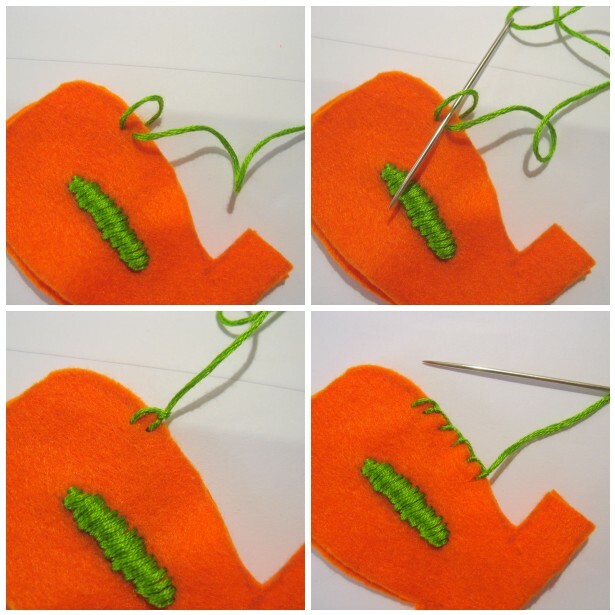 You are going to use the blanket stitch but any simple stitch would do. Bury the knot between layers, and take the needle out on the back. Wrap the thread over the edge, and insert the needle through the front with the thread under the needle point as shown. Draw up the thread and repeat until finished. Keep the stitches the same length and the same distance apart. 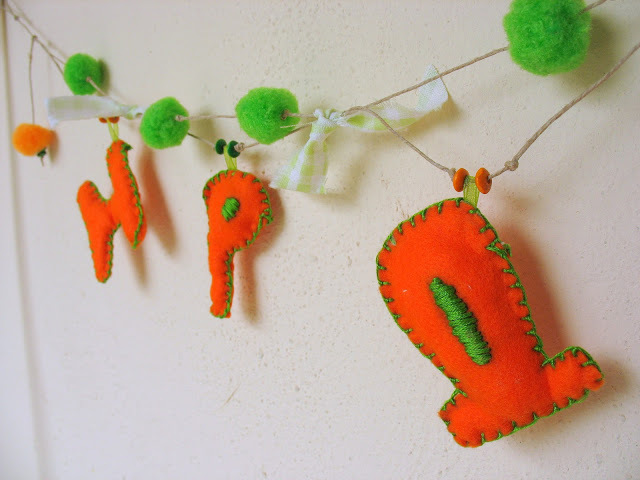 Before completing the joining of the two parts of the letters (front and back) just fill the letter with cotton and sew a small piece of ribbon in order to be able to hang it. 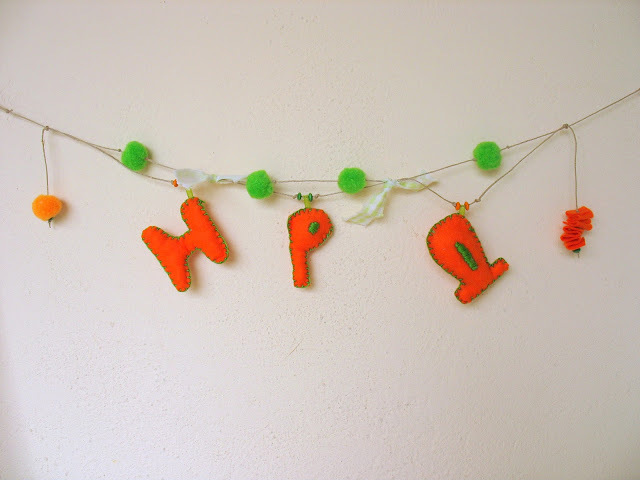 If your sewing is crooked then your garland is going to be a playful one! 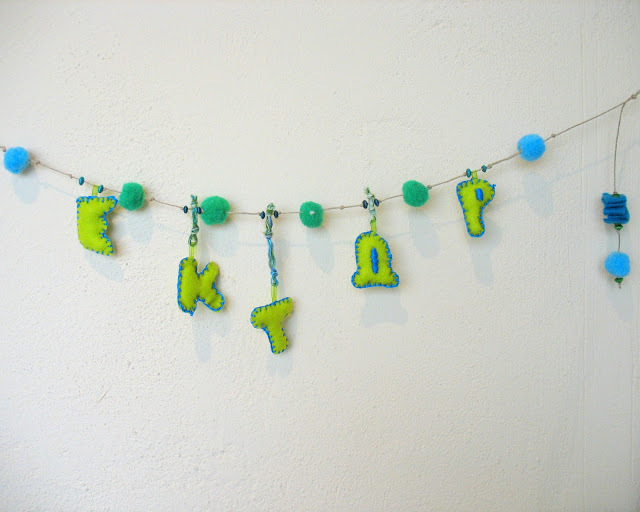 We are through with the letters so with a little bit of imagination you can easily create beautiful garlands. Make a loop in both ends and your garland is ready!!! 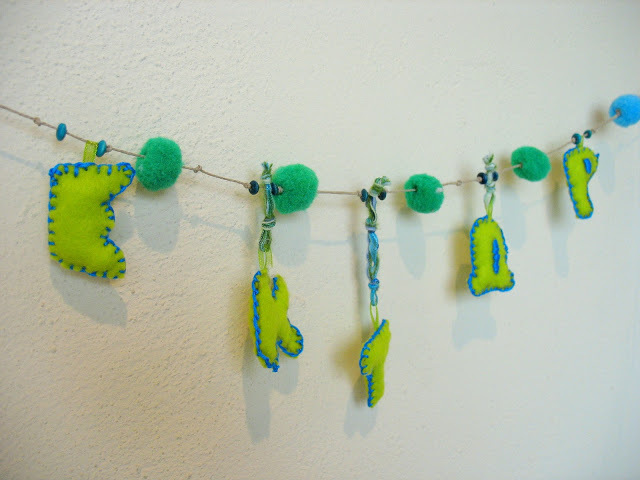 So for my little friend Iro, I’ve made a garland with twine, pom poms and small fabric scraps. For my sweet Hector, since boys tend to like it simple, I’ve made the garland with twine and pom poms. Here’s a great idea: Wrap the garland around a candle and you have a great Easter candle for your godchild! Πολυ τυχερά τα πιτσιρικια! Πανεμορφο μπανερακι!!! Love the post! You should consider getting circular rugs for some of your rooms. I decorated my whole house with them and it came out really well. 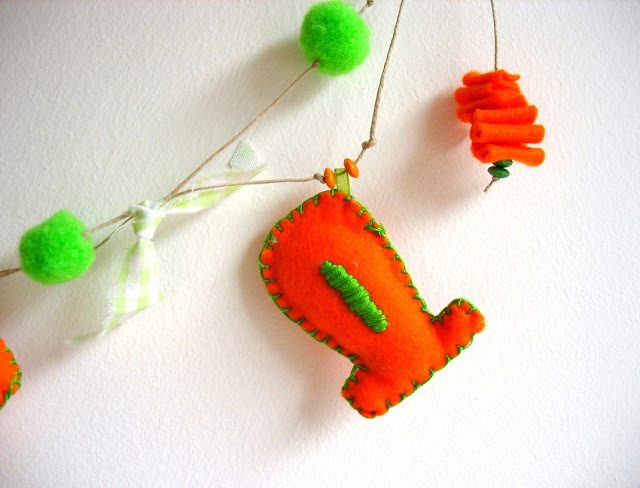 DIY home decors like this is perfect for the kids party.